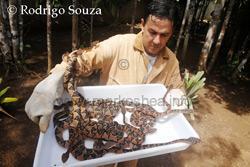 It seems another Brazilian herpetological institution is under threat and needs help. I have received an email from Dr Rodrigo Souza, Director of the Serra Grande Breeding Center for Lachesis muta rhombeata. 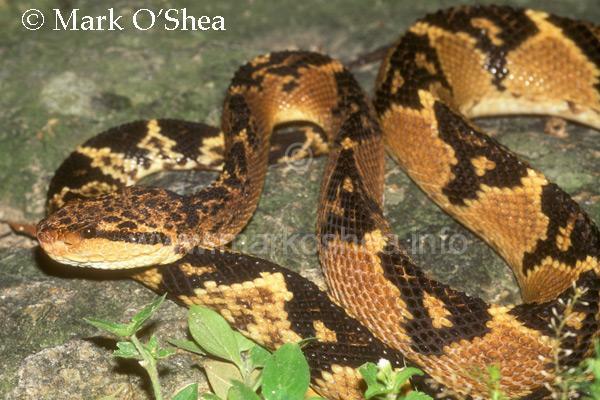 This is the critically endangered Atlantic coastal bushmaster, a separate subspecies from the one in the Amazon. Everybody knows the Amazon is endangered but few people realise that the thin coastal forest of Brazil is even more threatened by the advance of man. It has been suggested that 93% of the forest has gone, it certainly only remains as pockets on mountains and hillsides. These forests were home to many strange and unique species, some of which (golden lion tamarins, Spix's macaw) appeal to the public and are considered 'worthy of conservation'. 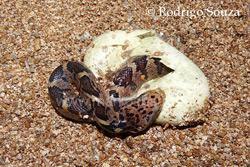 Others might not appeal quite so widely, Cropani's boa (Corallus cropani - see A Brazilian Tragedy) and the venomous Atlantic coastal bushmaster. Rod Souza, a medical doctor, has devoted his life and livelihood to conserving and breeding the bushmaster but he is now running out of funds. The Atlantic coastal bushmaster was the subject of the first ever OBA film, entitled Ox Killer*. We spent 10 days and night scouring three states (Rio de Janeiro, Bahia and Alagoas) and on the final night, at half-past midnight, at a remote protected location called Quebrangulo, we found a male Atlantic coastal bushmaster. The snake had only emerged because it had rained that afternoon and evening. We were elated, first film in the can, and we continued to succeed for the next eight films. OBA went to four series' but in the five years that it took to make the films, the bushmaster has continued to struggle for survival. 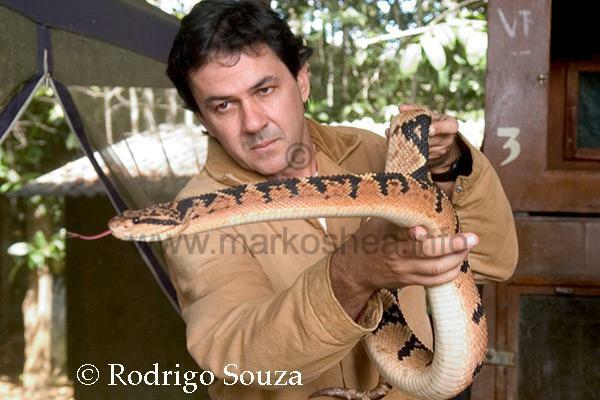 Rod Souza's breeding project may be its only life-line beyond re-establishment of vast swathes of original rainforest, yet deforestation continues year by year. Souza considers the bushmaster may even be extinct in the wild, in which case his project is truly its last chance. * Ox Killer was not my choice of title. It is an Anglicization of the Costa Rican name 'matabuey' which refers to a different species of bushmaster which is claimed to kill oxen. I would have selected a more sympathetic title that did not demonise an endangered species.